The Hardin County Educational Fund provides supplementary classroom resources to enhance student learning in Hardin County Schools (HCS). The Fund offers several ways for donors to support the school. Alumni, parents and friends of HCS have a tax-deductible way to support the educational efforts of HCS through the Fund. Some donors choose to make a one-time gift, while others make regular gifts to the Fund. Gifts to the fund are a great way to honor a special teacher or alumni. To give to the Hardin County Educational Fund, contact Davette B. Swiney at 270-737-8393 or dswiney@ckcf4people.org. Partnership Grants through the Hardin County Educational Fund provide supplemental resources for Hardin County Schools teachers to expand educational experiences and increase student engagement. Hardin County School faculty and staff have the opportunity to invest in the school system through payroll deduction. 100% of the funds contributed to the Hardin County Schools Fund through payroll deduction go to the Partnership Grant Program. Grants are available to teachers for classroom enhancement to increase student learning. Teachers can apply for grants at any time and grants are awarded throughout the year. Grants will be made up to $500. Grant recipients will be required to report follow-up outcomes. Patricia Milby – Creekside Elementary School: Awarded $488.00 for Osmo, an iPad gaming system. This system will engage students in rigorous tasks and problem-solving activities. It allows students to engage in interactive learning games while applying the common core standards. 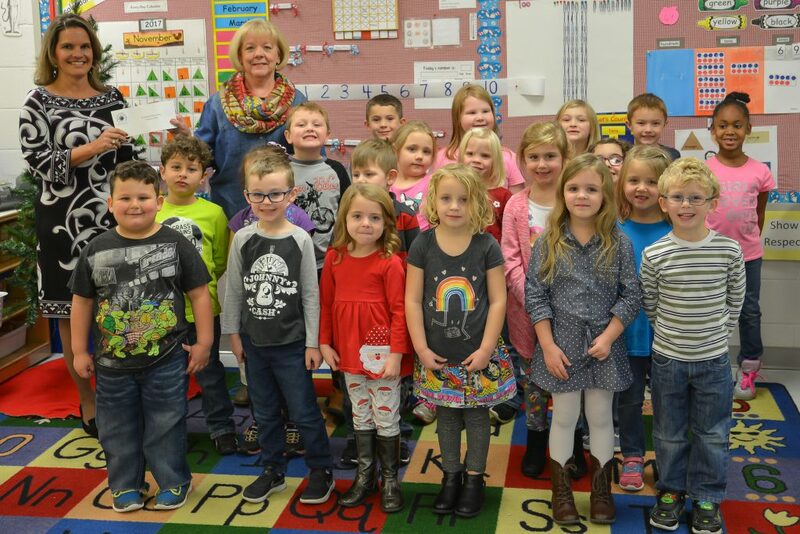 CKCF President & CEO Davette Swiney, back left, stands with Creekside Elementary kindergarten teacher Patricia Milby and her students. 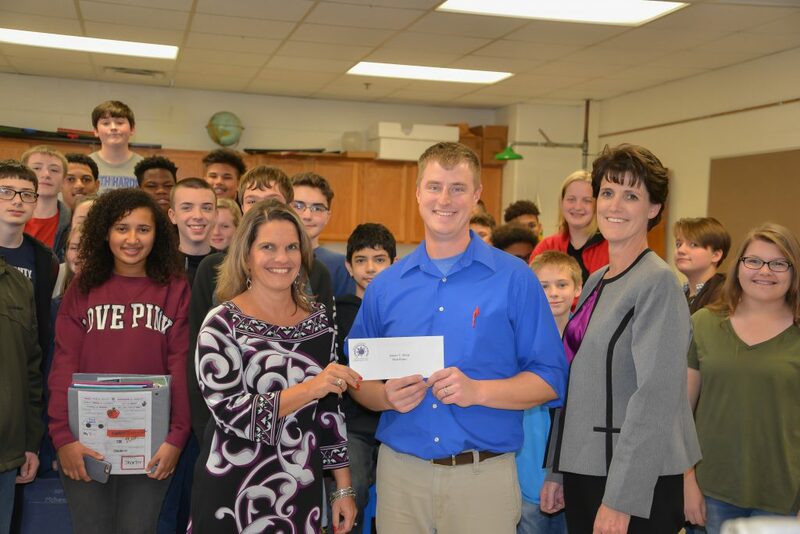 Nick Ritter – James T. Alton Middle School: Awarded $500.00 for a VEX Robotics Field. 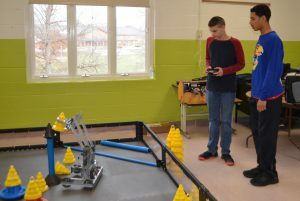 VEX Robotics is a STEM (Science, Technology, Engineering, Math) learning experience that provides problem-solving and teamwork skills by building a robot. Students then compete with the robot against other school teams in a game-based engineering challenge. The competition field will provide students an area to practice with their robot similar to a field they will compete on at competitions. James T. Alton Middle School teacher Nick Ritter stands with his students, CKCF President & CEO Davette Swiney and HCS Superintendent Teresa Morgan. 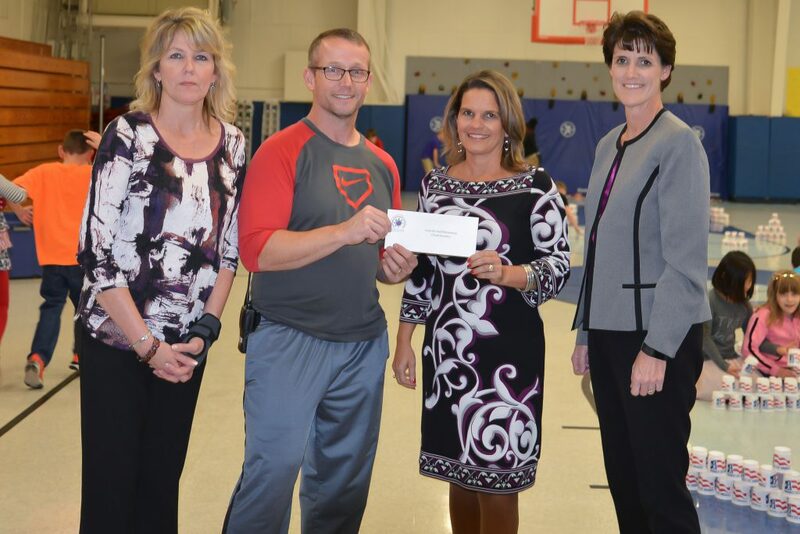 Chad Sweeney – Lincoln Trail Elementary School: Awarded $485.00 for physical education supplies. These supplies help develop student’s manipulative skills – throwing, catching, kicking and striking as well as motor skills such as sliding, running and jumping. Lincoln Trail Elementary Principal Gena Jeffries and physical education teacher Chad Sweeney are presented with a partnership grant from CKCF President & CEO Davette Swiney and HCS Superintendent Teresa Morgan. Kathie Hamilton – Lakewood Elementary School: Awarded $498.00 for project Seated for Success. This grant provides flexible seating for students in her classroom which allows students the opportunity to choose the seat where they learn best. Chrissy Canada – New Highland Elementary School, Jansen Ellis-Reeves – North Park Elementary School, Jordan Ellis-Reeves – North Park Elementary School, Miki Tennant – Howevalley Elementary School, Carla Simpson – G.C. Burkhead Elementary School: Awarded $299.99 for SumBlox, wooden building blocks used to teach mathematics. These blocks allow hands-on application that builds confidence, create excitement and increases retention in mathematics. Jill Knight – Creekside Elementary School: Awarded $488.00 for Osmo, an iPad gaming system. This system will engage students in rigorous tasks and problem-solving activities. It allows students to engage in interactive learning games while applying the common core standards. Angela Vance – Creekside Elementary School: Awarded $488.00 for Osmo, an iPad gaming system. This system will engage students in rigorous tasks and problem-solving activities. It allows students to engage in interactive learning games while applying the common core standards. Lisa Jaggers – Lincoln Trail Elementary School: Awarded $500.00 for Neorok Stools. These stools provide students the ability to swivel or rack back and forth without causing a distraction to other students. Students that have difficulty attending to fine motor task are more willing to stay working when they are allowed to move.